Never before have we seen such a flurry of rumors and news about an upcoming smartphone. Apple’s iPhone 6 is truly exceptional in this regard. As we get closer and closer to the September 9 launch date, the reports have begun to echo each other, painting an incredibly clear picture of this coveted flagship smartphone that we’ve never even seen. We’ve gathered all the news into one massive rumor roundup, but now the time has come to consolidate the overarching themes of that post into a projection of what we expect from the iPhone 6. Early on in the game, signs pointed to the launch of two versions of the iPhone 6. We started tracking rumors about the next iPhone in late January when DisplaySearch first hinted that the iPhone 6 might come in two sizes. 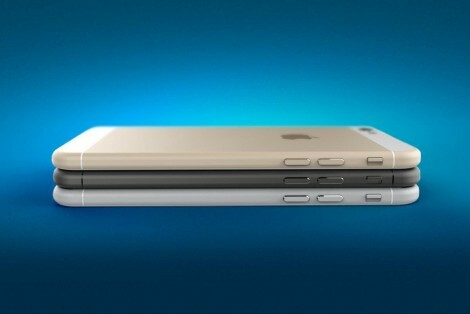 Now many major publications have confirmed that the iPhone 6 will come in two sizes: 4.7 inches and 5.5 inches. The jury is still out as to whether Apple will be able to produce a sufficient number of sapphire screens in time for the anticipated September 9 launch. However, given the company’s intense focus on the new GT Technologies plant in Mesa, Arizona, we think the iPhone 6 will feature a sapphire display. Several videos have also shown scratch tests on what appears to be a sapphire iPhone 6 screen. We know the iPhone 6 will come in two screen sizes, but we don’t know either screens’ pixel resolution. The most recent conjecture from long-time Apple reporter John Gruber says that the 4.7-inch model will feature a 1,334 × 750 pixel resolution, which amounts to 326ppi and the 5.5-inch version will get a higher resolution 2,208 × 1242 pixel resolution, which ends up being 461ppi. Whatever the number of pixels, Apple will certainly increase the resolution on both iPhone 6 models. At this point we’ve seen hundreds of photos of the iPhone 6. Components, case manufacturer dummies, and fully assembled iPhone 6s have leaked all over the Internet, alongside reports that the next iPhone will be thinner than ever before and sport a new design. Based on earlier reports, the iPhone 6 will measure anywhere between 5.5 millimeters thin, to 7.1 millimeters thin. It will be made of aluminum and come in three colors: silver, black, and gold. Most case manufacturer mockups show the power button on the right side of the device for easy access. The volume buttons are still on the left side, but they are slim and rectangular. The home button remains in the same position, though. Recent reports hint that the camera module will stick out from the phone’s body. The iPhone 6 will most likely be powered by the upcoming A8 processor. It’s also said that the M7 co-processor will be updated as well. Although most recent reports say that Apple will stick with 1GB of RAM on the iPhone 6, it’s also said that the RAM may be faster this time around. Apple confirmed that it will hold a September 9 event at 10 a.m. PDT, which it will livestream on its website. Major tech publication Re/Code, the Wall Street Journal, and the New York Times have all independently confirmed that both versions of the iPhone 6 will debut at the event. The iWatch is also expected to make an appearance. The next iPhone is guaranteed to have iOS 8 onboard. Based on the preview we had of Apple’s latest mobile OS at WWDC 2014, it’s safe to say that iOS 8 won’t have any major design changes, but it will add responsive widgets, better integration with OSX, and a few new app ecosystems. HealthKit, HomeKit, and the new mobile payments systems will be the main highlights of iOS 8 on the iPhone 6. The iPhone 6 will have a new and improved Touch ID sensor on the home button. Various reports say that the sensor will be more accurate, but look and function the same as before. 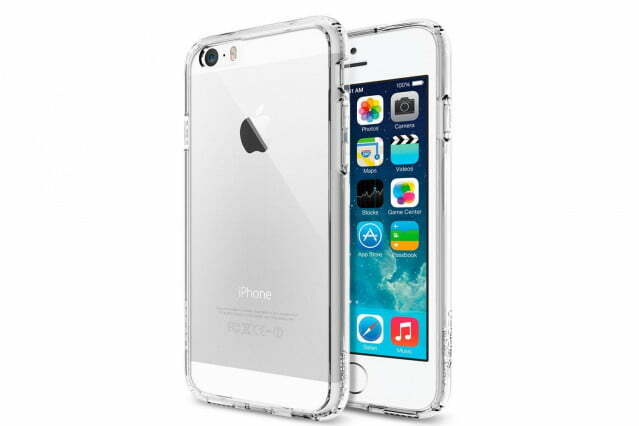 The iPhone 6 is also expected to have a variety of sensors, including a barometer and air pressure sensor. However, the most highly anticipated addition to the iPhone 6 is NFC technology. Several publications, including the New York Times and Wall Street Journal, have confirmed that Apple will include NFC on the next iPhone. NFC will reportedly be an integral part of Apple’s new mobile payment ecosystem. Apple will undoubtedly place larger batteries on the two iPhone 6 models to power the larger screens. 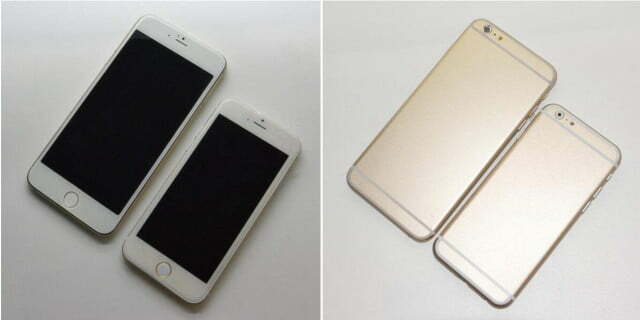 Reports vary as to the size of each iPhone 6′s battery. In August, a picture of a 2,915mAh battery appeared on Nowhereelse.fr and the publication claimed that it was the battery for the 5.5-inch iPhone 6. In early August, ESM-China analyst Sung Chang Xu issued a report stating that the 4.7-inch iPhone 6 will come with a 2,100mAh battery. The iPhone 6 will receive an upgrade to its camera, but it’s unknown just how big of an improvement we’ll see. Some reports claim that Apple will bump up the camera’s resolution to 13 megapixels or perhaps 10 megapixels with an f/1.8 aperture. Release date rumors are all over the place. In late August, a post on Chinese social media site Weibo hinted that the iPhone 6 will arrive in stores on September 19. But a July report from MacRumors suggested that it will hit stores on October 14. At this point, nobody really knows, but we think you’ll be able to buy the iPhone 6 on September 19. We’ve heard lots of rumors that claim Apple will charge $100 to $200 more for the iPhone 6. The most recent one comes from a Spanish mobile carrier in a report that claims the iPhone 6 models will cost 750 and 950 euros, respectively. However, if Apple does raise the price, we don’t think it will be by more than $50.